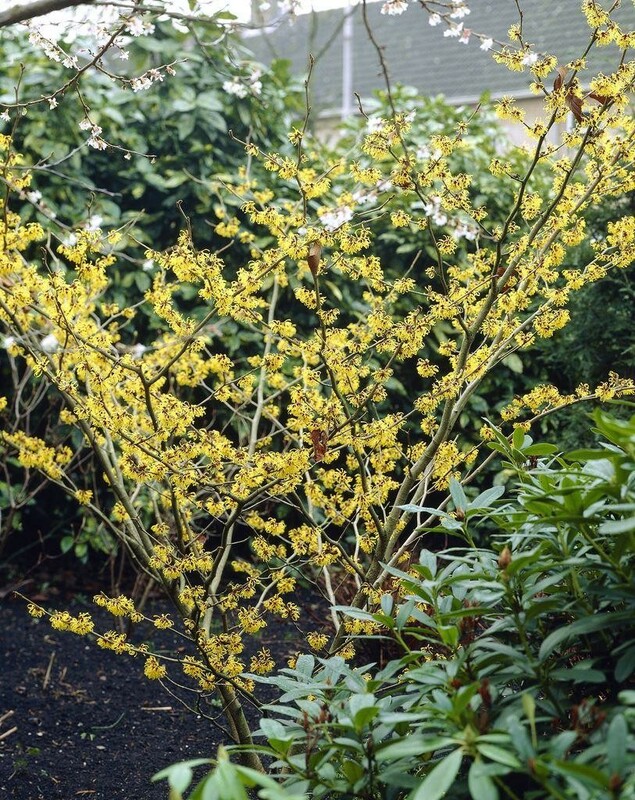 Clusters of large, sweetly scented, sulphur-yellow flowers from December to late February and bright green leaves turning yellow, orange and red in autumn. 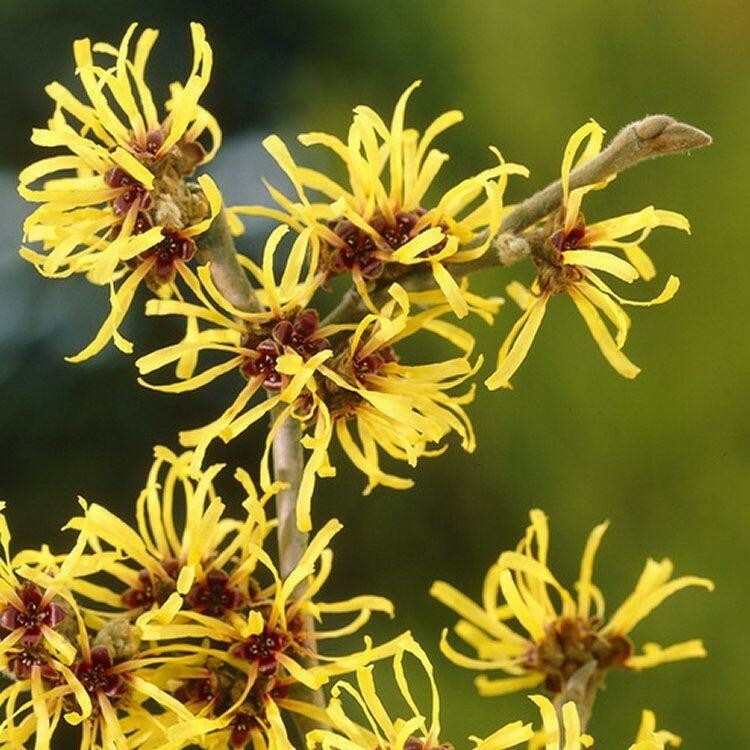 The curious, spidery flowers of this witch hazel look great illuminated by the winter sun. It makes an ideal specimen plant for a shrub border or woodland edge with fertile, moist, well-drained, neutral to acid soil. The golden-yellow flowers are produced profusion and have a strong sweet smell. A striking planting partner is the birch Betula jaquemontii with its bright white bark. On a sunny winter's day with a cloudless sky the golden blooms and brilliant white bark make a dazzling combination. Under plant them with crocus and daffodils and they look quite heavenly. Supplied well branched at approx 60cms-100cms tall in approx 5 Litre containers.